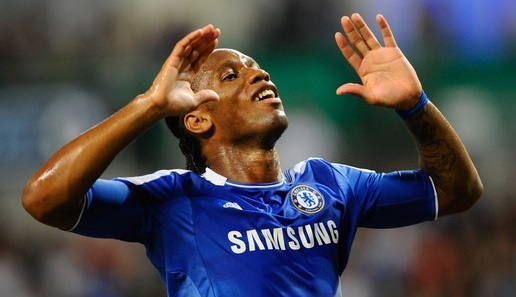 Didier Drogba is a target for Italian giants AC Milan. The Rossoneri won the Serie A title last season, and now they have set their sights on taking the UEFA Champions League crown from Barcelona in the coming campaign. This is an honour which has eluded Drogba at Chelsea, and Italian media claims Milan want to persuade him he has a better chance of winning the prize at the San Siro. Milan-based Mediaset, which is owned by the Rossoneri's patron Silvio Berlusconi, says they're planning to make an offer for the Chelsea star. Milan are planning to send Alberto Paloschi on-loan to Chievo Verona and sell unsettled Antonio Cassano, which suggests they're making room for Drogba's arrival. The Ivory Coast international, though, is thought to favour a stay in the English capital, and is even hoping to sign a new contract before the end of the month.